Portable Dusty Sweeper is a uniquely designed handheld vacuum cleaner that can be used to clean places where the usual vacuum cleaner would possibly fail. This device has super strong suction power and comes with multi-flex tube-like elongated bristles that help dislodge dirt from surfaces while cleaning. 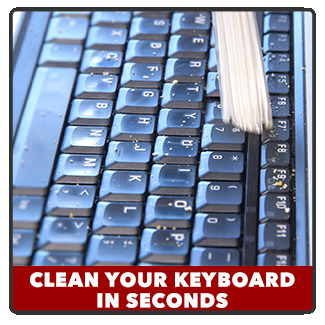 Without cords trailing, You can sweep everywhere even hard-to-reach places. Picks Up Dust Everywhere, Like No Other! 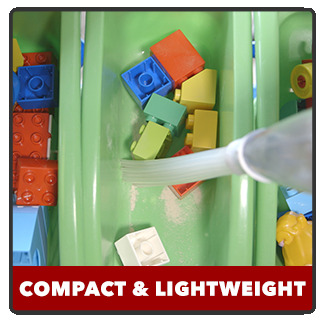 Highly Portable: Compact and lightweight, very convenient to use around the house. 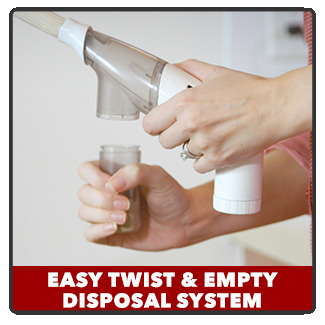 Easy to Clean: Simply twist off the dust container and empty it into your rubbish bin. Multi-flex Tubes: patented multi-flex tubes design that help dislodge dirt that is slightly more stuck to the surface than otherwise. Energy efficient: generate suction power by Lithium technology which requires low energy consumption. In between keyboards, furniture cushions and so much more!